A J approached us with his educational electricity story as a Word document and a handful of fantastic hand made illustrations. 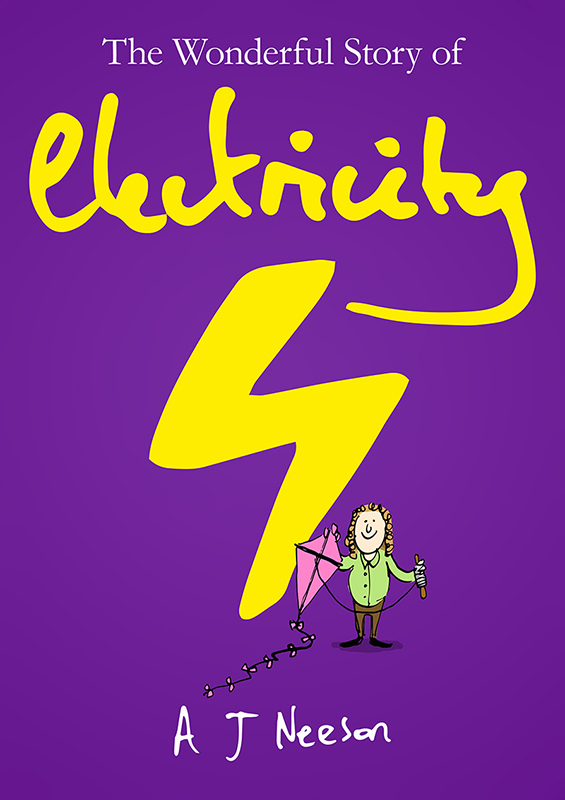 We then crafted this in to reflowing epub and mobi files, resulting in a very professional, amusing and educational book for primary school students (and fans of electricity). The great scientific discoveries no doubt influence all of our lives each and every day. But how many adults know the stories behind these discoveries or the underlying scientific principles at work. In this book, A J Neeson shares the history of the central thing that makes our modern lifestyles possible, Electricity. The Wonderful Story of Electricity takes parents and children on an amazing journey back to the time of the Vikings and the first Magnets, across to Italy and the creation of the first battery and on to England where Michael Faraday's experiments culminated in the Electric motor and the electric generator. A J tells the story as it happened. His use of humour and rhyme encourages children and parents alike laugh, and learn. As readers will discover the story of electricity is a very peculiar and wondrous one indeed. The Wonderful Story of Electricity is a children's book, but it also aims to entertain and educate parents at the same time.